Local news: advert for a community Youth Worker; Gaelic poem ‘Tir Lurach‘ by Alec MacLean; An Iodhlann’s 1950 newspaper articles from the archive – no films for Tiree, distress flares off Hynish, youth let off distress flares, problems over electricity supply; TEAR home-composting event; RSPB news; dead leatherback turtle at W Hynish; community windturbine update; article by Matt Boyd about running the New York marathon; letter to the editor about HMS Sturdy; election of community councillors; High School mountain challenge; High School gala day schedule; search for Gaelic-speaking child to star in Hollywood film. Colour photograph of a dead green turtle that washed up on the shore at Crossapol Farm in 2009. 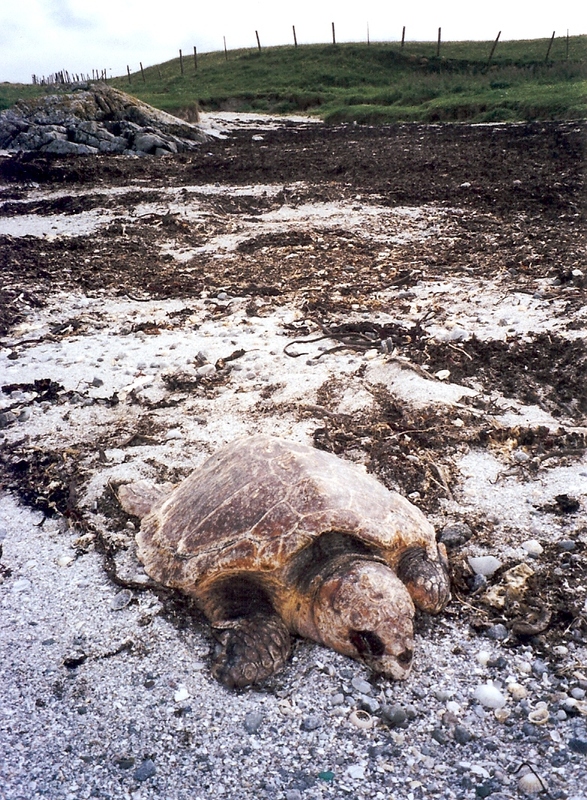 Photograph of a leatherback turtle at Sandaig in the 1990s. The leatherback is the world’s largest turtle. It is so named because it lacks the typical bony plates on its carapace; instead its shell is flexible and covered with a thin layer of leathery skin. It has the widest distribution of all turtles and is found throughout the world’s oceans. Adults feed mainly on jellyfish and often undertake long-distance migrations between feeding grounds in temperate waters and nesting beaches in the tropics. Their biology is unique amongst turtles enabling them to maintain an elevated body temperature. The leatherback is a critically endangered species. Threats to their existence include habitat loss, over-harvesting of eggs, accidental capture in fisheries, and ingestion of plastic bags mistaken for jellyfish. 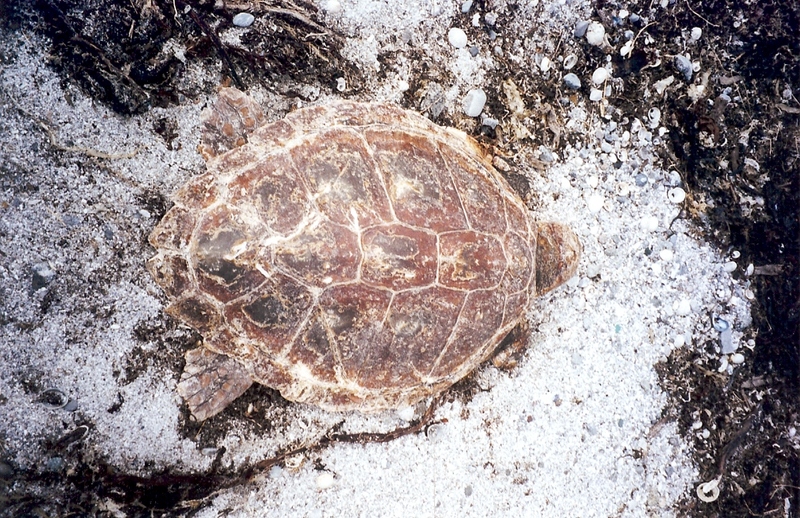 The turtle is this photograph died shortly after it was found. 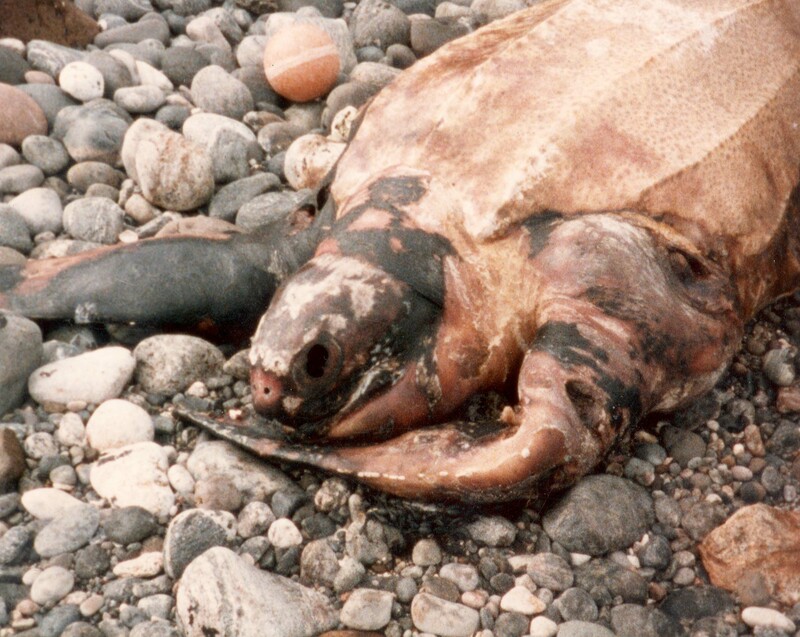 Colour photograph of a leatherback turtle around 1990. 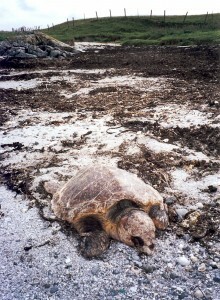 Latherback turtle washed ashore at Sandaig around 1990.